Add more than just a bar stool to your home. 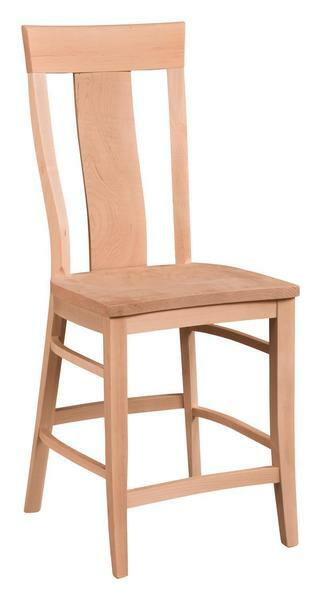 With the Amish Braden Bar Stool, you will be adding style, comfort, and quality! Crafted with a contemporary charm, this solid wood bar stool has elegant legs, a rounded scooped seat, and a Queen Anne style back. Customize the Braden Bar Stool by selecting the height that is right from your home. Available in counter height (24") or bar height (30"). Transform this stationary stool into a swivel stool. A number of wood and stain options are available so you can customize this solid wood bar stool to match your home decor. The Amis Branden Barstool is available in single or two-tone! Seat Height: 24" & 30"